Congress party wants Mayor Bhagyavathi, who has switched her loyalties to JD(S)-BJP combine in MCC, to resign; JD(S) wants ZP President Nayeema Sultana to quit as per party directive and suspect her of taking support from Congress. Politics, after all makes strange bedfellows. Mysuru: Regional Commissioner (RC) Shivayogi C Kalasad yesterday served a notice on Mayor B. Bhagyavathi for allegedly involving in anti-party activities to become the Mayor. The RC has fixed the hearing of the issue to Mar. 9. At the Mayoral election held on Jan. 24, Bhagyavathi, a Congress Corporator, won the polls with the support of JD(S) and BJP. She defeated the official Congress party nominee R. Kamala and thereby violated the whip issued by the party to vote for the official candidate. 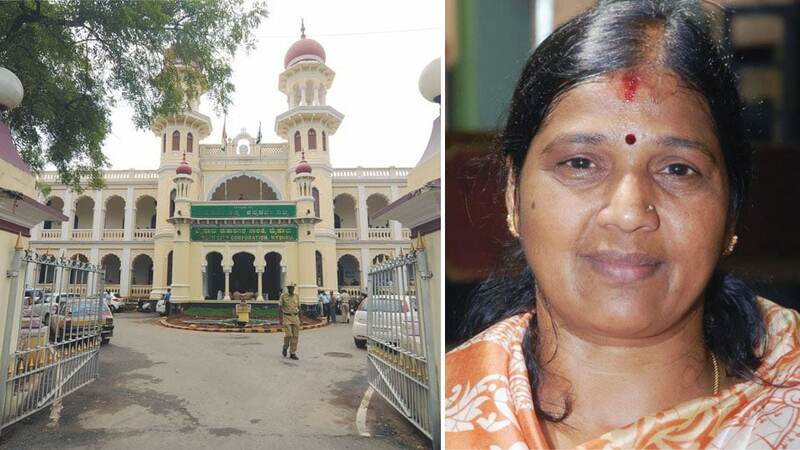 Bhagyavathi, who at the Eleventh Hour shifted loyalties from Congress party to JD(S)-BJP alliance, was elected as the 31st Mayor of Mysuru amidst chaotic scenes at the Nalwadi Krishnaraja Wadiyar auditorium in Mysuru City Corporation (MCC) on Jan. 24. Following the elections, the Congress party expelled Bhagyavathi. City Congress President R. Murthy and Congress Corporator K.C. Shoukath Pasha had approached the Regional Commissioner’s Court, demanding disqualification of Bhagyavathi as Corporator as she had indulged in anti-party activities. In their representation to the RC, the Congress party members have demanded the disqualification of Bhagyavathi as she had become the Mayor through illegal means. They also appealed to the RC to stay the Mayoral election results. The RC has asked the Mayor to be present for a probe on Mar. 9 at 3 pm. Mysuru: JD(S) leaders in Mysuru ZP are upset as ZP President Nayeema Sultana has refused to step down as per an internal party agreement. The JD(S) that emerged as the single largest party in the ZP elections had made Nayeema Sultana President for 20 months. While being appointed, Nayeema had stiff competition from Parimala Shyam, also from JD(S) who was a strong contender. While settling the issue between Parimala and Nayeema, the JD(S) leaders allowed Nayeema to occupy the ZP Chief’s post for 20 months and told her that Parimala Shyam of Antharasanthe in H.D. Kote would occupy the Chair as the next ZP President for 40 months. But Nayeema Sultana continued in the post even after 22 months, and JD(S) State President H.D Kumaraswamy intervened on the issue and directed her to resign from the post. Nayeema is reluctant to resign after the death of H.D. Kote MLA S. Chikkamadu. She also skipped the JD(S) meeting maintaining that she is not keeping well. Yesterday, during the ZP meeting, JD(S) ZP members called on her in the office and asked her to resign as per the agreement. When Nayeema Sulthana refused to submit her resignation, a verbal duel broke out between her and party members. 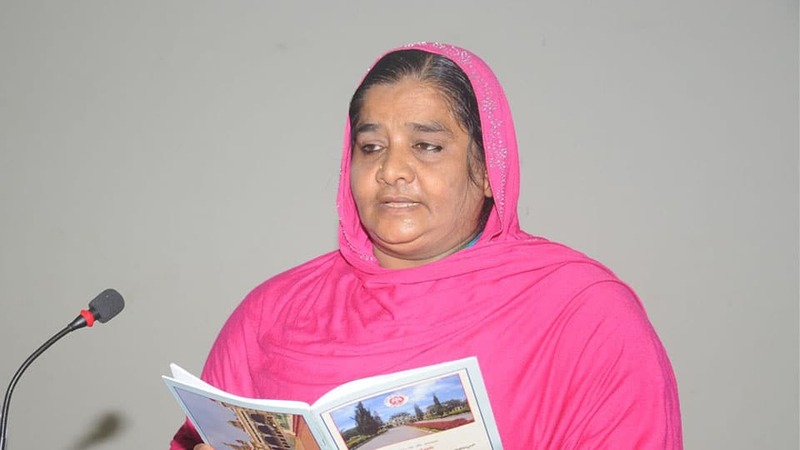 Nayeema Sultana has clarified that ZP President’s term is 60 months and she thought of continuing for another 30 months. “I have not refused to resign. I am unhappy by the allegations by party ZP members. MLA Chikkamadu had promised me 30-month tenure. I will consult my family members before taking a decision. Even If I resign, it will not help the party due to poll code of conduct,” she said. JD(S) members alleged that some Congress ZP members are misleading Nayeema and has assured her the support of Congress party as Chikkamadu’s son Anil Chikkamadu has already joined Congress.